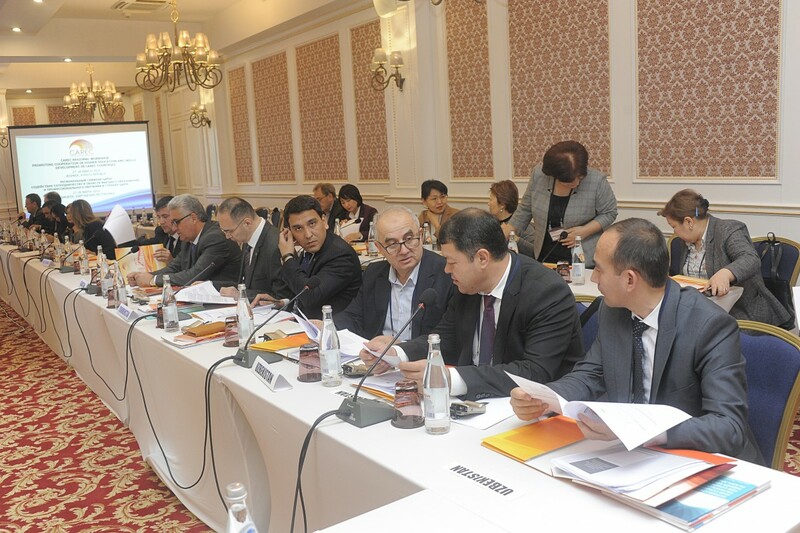 Education officials from the 11 CAREC countries, development partners, academe, and private sector representatives met to deliberate on key challenges and opportunities for regional initiatives and collaborative actions in skills development, and higher education in the region. Promoting mutual recognition of skills, enhancing labor market information and services, and improving student and faculty mobility were identified as key areas for cooperation going forward. 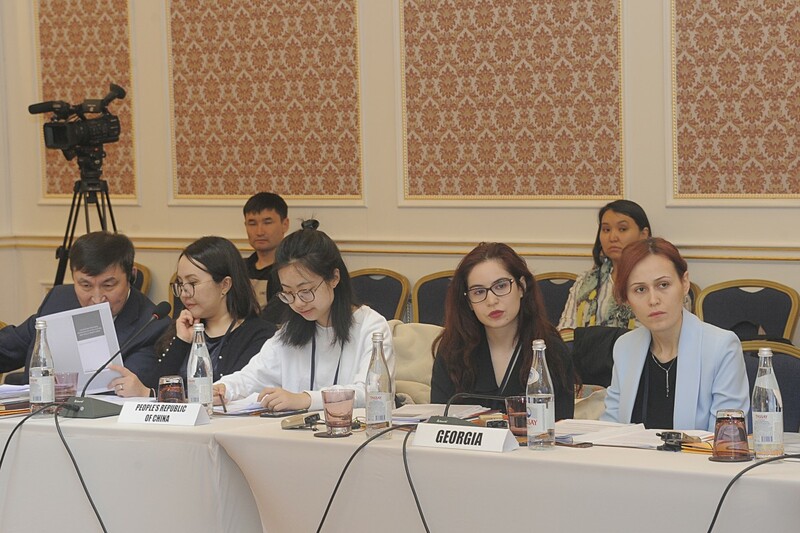 Taalaibek Cholponkulov, director, Primary and Vocational Education Agency under the Ministry of Education, Kyrgyz Republic and Rie Hiraoka, director, Social Sector Division, Central and West Asia Department, Asian Development Bank co-chaired the meeting. Kudaiberdy Kojobekov, deputy minister for education and science, Kyrgyz Republic and Hiraoka delivered concluding remarks. 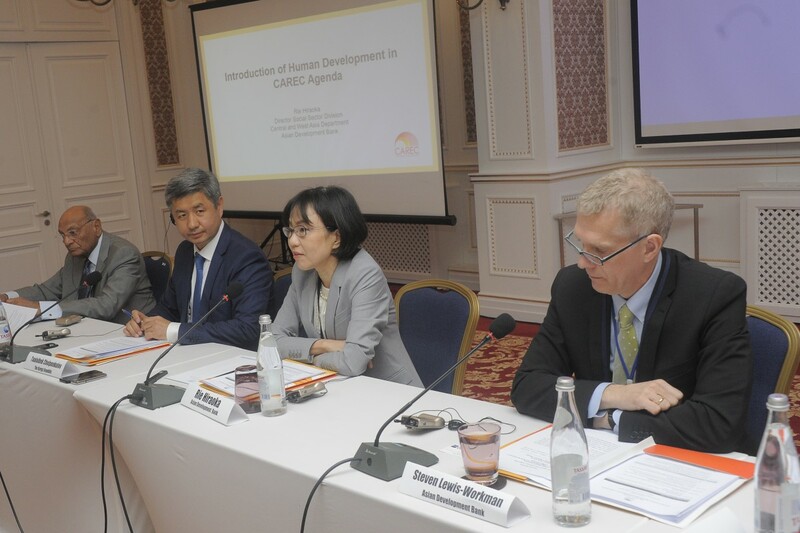 FROM LEFT: Dr. Shamsh Kassim-Lakha, Chairman of the Board of Trustees, University of Central Asia and AKDN Representative; Taalaibek Cholponkulov, Director, Primary Vocational Education Agency under the Ministry of Education of the Kyrgyz Republic; Rie Hiraoka , Director, Social Sector Division, Central and West Asia Department, Asian Development Bank (ADB); and Stewen Lewis-Workman, Unit Head, ADB Kyrgyz Republic Resident Mission Project Implementation Unit, delivering opening remarks.